For most organizations, every dollar or minute spent on the company’s dime is constantly under evaluation and fierce scrutiny. 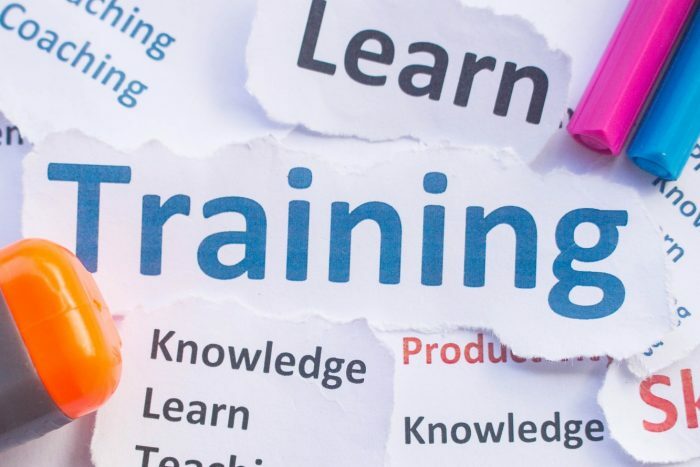 Although reskilling employees and providing career development often take a back seat to business priorities more directly tied to revenue, workplace learning has never been more critical to business success. Given the accelerating pace of workplace transformation across every industry, the need for continual upskilling grows exponentially every day. To keep up, L&D leaders must be able to successfully communicate this idea up the management chain to win the necessary executive buy-in and achieve change. It’s time for L&D teams to start thinking like marketers and gather the necessary tools and proof points to educate stakeholders on the positive impact learning has on the business’ bottom line. The constant shifts in our dynamic, digital economy have led to rapid workplace transformations, a growing skills gap and a tricky balance for companies to be innovative while driving growth through disciplined execution. Organizations that have adopted a learning culture have a distinct advantage over the competition when combating these specific challenges. Companies with learning cultures are agile, continually evolving, and as a result, are able to not only keep pace with change, but sometimes stay ahead of it. Skills training is more important than ever in today’s quickly evolving workplace. The introduction of innovative technologies are transforming the way we do our jobs and have created an environment where if your team isn’t ahead of a trend, they’re already behind the competition. As employees navigate shifting landscapes, corporate leaders can no longer view training as an interruption of work and instead, drive a culture where learning is woven into every employee’s daily routine. Companies that treat learning as a strategic asset and make just-in-time learning resources easily available will reap the benefits of having agile employees who can pick up skills, apply what they’ve learned instantly, and keep important projects moving forward. Younger workers aren’t seduced by flashy perks and would rather join mission-driven companies that offer opportunities to learn and try new things. The fierce competition for talent is increasing the pressure on employers to deliver meaningful work and growth opportunities and as a result, businesses are witnessing a boost in engagement and overall employee satisfaction and retention. For a stakeholder that may need additional proof of the connection between learning-driven corporate cultures and employee retention, our report on workplace boredom found that disengaged workers are 2.5 times more likely to quit, and 46% said the lack of opportunity to learn is the top reason they’re bored. 80% agreed that being given the opportunity to learn new skills at work would make them more interested and engaged in their jobs. A recent McKinsey Global Institute report found that “Sixty-two percent of executives believe they will need to retrain or replace more than a quarter of their workforce between now and 2023.” The gap between the skills applicants have and the skills employers seek can’t be resolved by sending everyone back to school. Even if you hire for today’s must-have skills, that’s no guarantee you’ll have the right talent for tomorrow’s. Upskilling existing talent is far more cost-effective and efficient than continually recruiting and onboarding new hires. Besides, workers want access to learning opportunities and are ready to leave for new employment when they don’t get them. This is especially true among the newest entrants to the workforce, who are the people you should ideally be grooming for management roles. From constantly refreshing social media to spending too much time navigating a new “productivity” tool, workers are negatively affected by workplace distractions. Our recent study on workplace distraction found that 70% of employees said they think training could help them block out distractions and achieve focus at work, but most aren’t receiving it. In addition to increasing efficiency and alleviating distractions, company-wide support of a learning mindset also gives employees a place to speak up when they have a training need. Of those surveyed, 66 percent are reluctant to raise distraction challenges and have never spoken to their managers about it. The smartest companies are rethinking how they prioritize learning and development in an age of continuous innovation and change. Far from being a “nice to have” perk, giving employees learning opportunities is a key differentiator that attracts high-value talent and enables their best work, which is something every company executive can get behind. By engaging workers, helping them build careers within the organization, and equipping them with the knowledge and opportunities they need to innovate, employees and businesses alike can reap the benefits.